Here’s what’s happening in the world of television for Monday, January 21. All times are Eastern. Oliver Queen (Stephen Amell) operating as the Green Arrow openly—that’s new. A second Green Arrow who isn’t a villain or a misdirection—also new. Felicity, smiling and seeming to enjoy life—not new, per se, but overdue. Hell, it seems that there’s even a new member of the family, as the title (“My Name Is Emiko Queen”) and the midseason cliffhanger would imply. 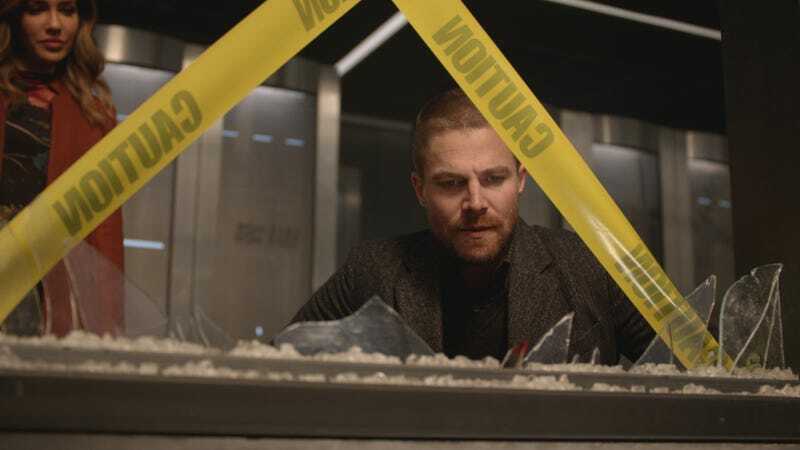 In short, Arrow is back, in more ways than one. And what do you know, TV Club coverage of Arrow is back, too! Look for Allison Shoemaker’s recap this evening. An American Murder Mystery, “Robert Durst: Part 1" (Investigation Discovery, 9 p.m.): Say you’re the type of person who got to the end of The Jinx and immediately headed to Wikipedia, or Reddit, or your nearest podcast platform. It was upsetting, and this hypothetical you wanted more. Well, here you go. ID’s two-part look at the Durst saga begins tonight. Lest you think there’s nothing new to learn about the story, the fact that a date was just set for Durst’s trial regarding the murder of Susan Berman should serve as a reminder that this story is ongoing.